Grover David Powell was born in Sayre, Pennsylvania, on October 10, 1940. After growing up in Wyalusing, Pennsylvania, Powell entered the University of Pennsylvania, where he played varsity baseball in 1960, 1961, and 1962. Powell, a southpaw, was a baseball sensation during his college years. As a sophomore he led collegiate pitchers in strikeouts and as a junior he was signed to pitch for the Triple A Raleigh Caps of the Carolina League. Powell was signed in 1962 as an amateur free agent by the New York Mets. 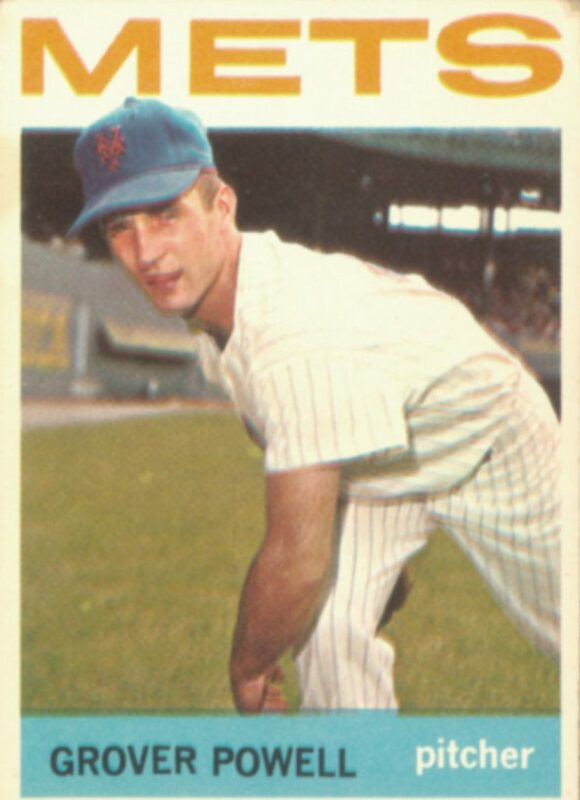 In his major league baseball debut for the Mets on July 7, 1963, he pitched a four-hit shutout. After his successful first season, however, he suffered an arm injury while playing winter ball in Venezuela. That was the end of his major league career, although he played for another six years in the minors. Powell returned to Penn to finish his education, graduating in 1966. He is remembered by his baseball colleagues and by his family as an unconventional individual, who excelled at making people laugh, but who would not be made to fit in a mold. He died of acute leukemia on May 21, 1985, in Raleigh, North Carolina.